With one to six eye-pleasing colored dice available at your disposal, which cannot be tampered, Dice app is a must-have app for parents with kids, who love board games. Nothing beats playing board games. It brings family together. Playing board games with our kids makes our work related stresses go away. We are always fond of good old board games that have variety of flavors. One common game piece in most game boards are a pair of die. Dice as they are commonly referred, can generate random combination of numbers and sometimes even zero. They are used to for variety of purposes from simple games to even gambling. Dice exists in various forms and humans used it since ancient times. A cube is most used form of dice which has six faces, but other forms are also developed and used by humans. And even though dice game are stress-busters, it is also creates or increases stress, when we find that the dice are missing. We feel like fools as we have handful of board games, but not dice. Just like any creative development, comes greed. Dice can also be tampered. Loaded and crooked dice are designed to favor some results over others. 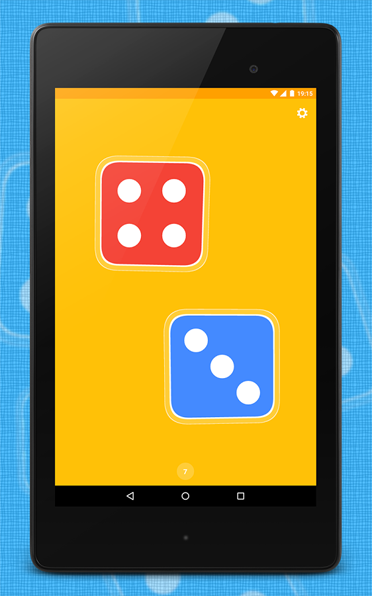 Keeping these things in mind, Nikola Kosev, an experienced Android app developer came with a Dice app for Android. So why do we need dice app? 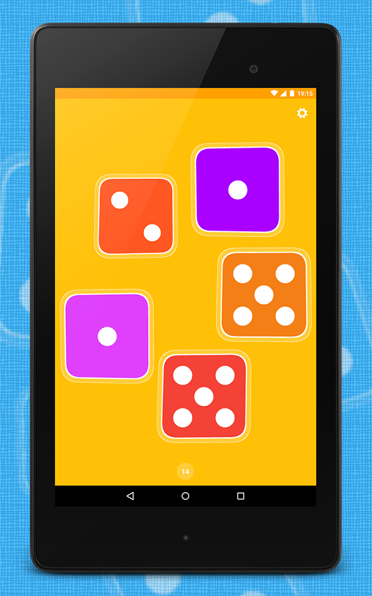 Kosev carefully developed this dice app to emulate the real dice as much as possible. Unlike physical dice, the digital dice comes in eye-pleasing colors. The dice app supports from 1 to 6 dice, so you can use as much you like. And it is not only usable in games, but you can even use it for other purposes like creating password for Bluetooth pairing, random number generating etc. 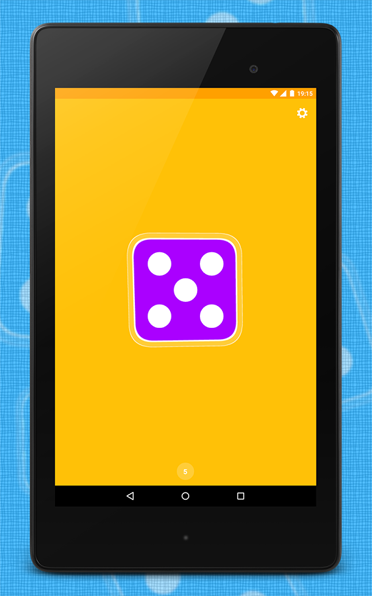 Every time you touch the screen of your mobile, the dice are “rotated” and new combination is generated. For quick note, the total value is displayed too. The dice app itself could have been a “counting” game for kids, if the developer would have given an option to hide the total value. May be we could expect that in the future version, but we have currently an option to mute sounds, if we find it disturbing to others. You may also argue that a dice app or a digital dice came more easily tampered, while the physical dice requires some effort and high skills to tamper. Kosev gets nothing from a tampered dice app, and he skill-fully developed the dice app to make unique combination every time. By frequent usage, physical dice gets damaged, scratched, thus becomes unintentionally tampered. But this digital dice never expires, improves overtime, get upgrades and never gets misplaced.